After working as a Registered Massage Therapist since 2004, Jessie decided it was time to extend her knowledge and practice into the Equine world. Graduate of the Helen J Woods school of equine therapy in the fall of 2013 in Barriere, British Columbia. Completed Level 1 Equine Cranio Sacral with Maureen Rogers in Felton, California. 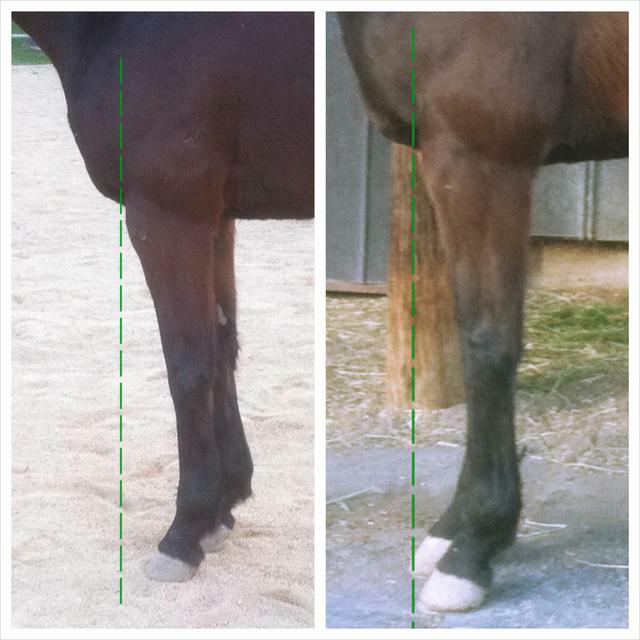 All performance horses suffer from compression and misalignment. Keeping your equine athlete at peak physical condition is crucial for the health and well being of your partner. 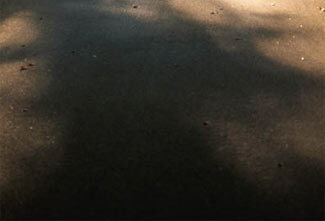 This is a comparative picture of a Thoroughbred geldings front legs. See how in the first pic, he appears to be over at the shoulder. This was a postural stance that he used from being on the forehand. He was on the forehand due to tightness of muscles and misalignment in pelvis. Photos were taken after 2 sessions of Cranio Sacral Therapy. 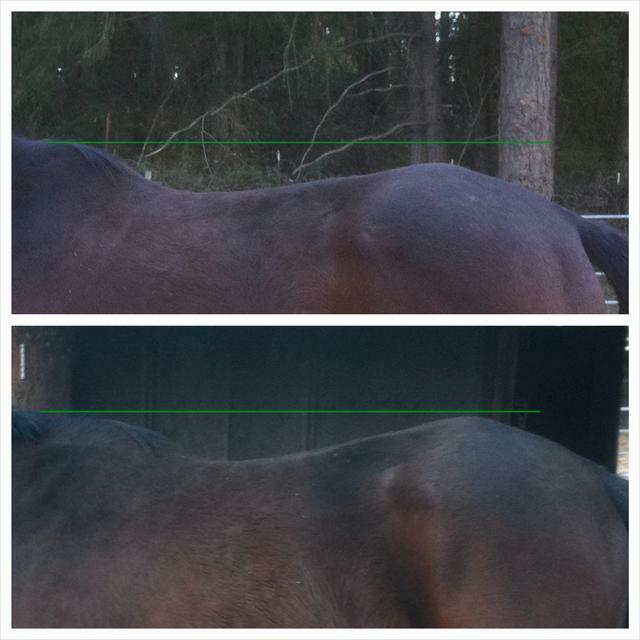 The below picture is of the same horse and his topline before and after. Notice how locked down in the pelvis he is. He appears to be wither high. Again, just postural due to compression and tightness. 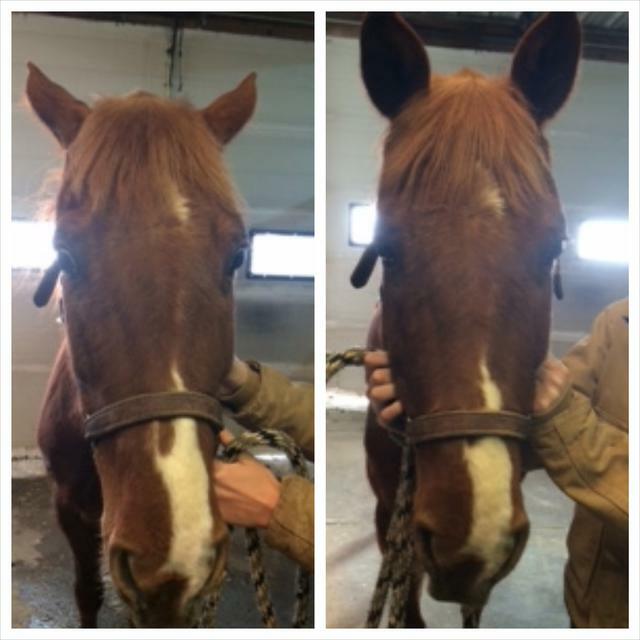 ​The above horses are both good examples of what cranial compression looks like before treatment. The expression is much more relaxed and the level of the eyes are more even in after pictures. 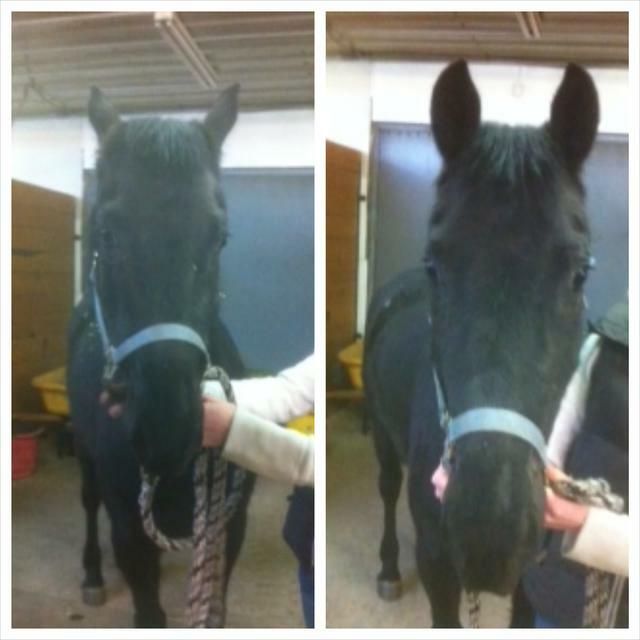 Both horses were very different under saddle after just one treatment of Cranio Sacral and Chiropractic. They were able to do their jobs without strain and pain.